Image: Two peaks (purple and magenta areas) corresponding to new particles are observed by fitting a model (red points) to the data (black points). 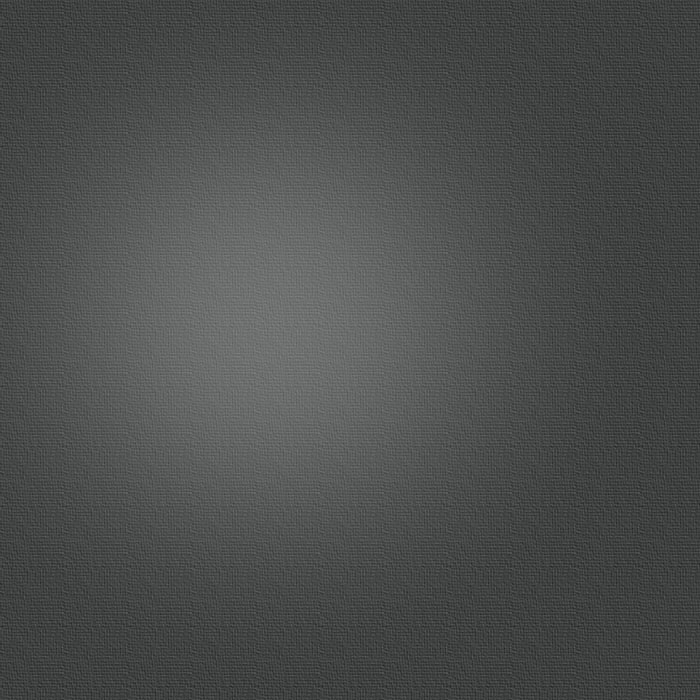 findings to the journal Physical Review Letters. "The pentaquark is not just any new particle," said LHCb spokesperson Guy Wilkinson. "It represents a way to aggregate quarks, namely the fundamental constituents of ordinary protons and neutrons, in a pattern that has never been observed before in over fifty years of experimental searches. Studying its properties may allow us to understand better how ordinary matter, the protons and neutrons from which we're all made, is constituted." pentaquarks composed of four quarks and an antiquark. Until now, however, no conclusive evidence for pentaquarks had been seen. the J-psi; and the proton revealed that intermediate states were sometimes involved in their production. These have been named Pc(4450)+ and Pc(4380)+, the former being clearly visible as a peak in the data, with the latter being required to describe the data fully. 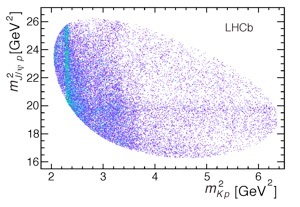 "Benefitting from the large data set provided by the LHC, and the excellent precision of our detector, we have examined all possibilities for these signals, and conclude that they can only be explained by pentaquark states", says LHCb physicist Tomasz Skwarnicki of Syracuse University. "More precisely the states must be formed of two up quarks, one down quark, one charm quark and one anti-charm quark." Earlier experiments that have searched for pentaquarks have proved inconclusive. Where the LHCb experiment differs is that it has been able to look for pentaquarks from many perspectives, with all pointing to the same conclusion. 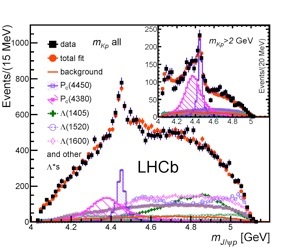 It's as if the previous searches were looking for silhouettes in the dark, whereas LHCb conducted the search with the lights on, and from all angles. The next step in the analysis will be to study how the quarks are bound together within the pentaquarks. "The quarks could be tightly bound," said LHCb physicist Liming Zhang of Tsinghua University, "or they could be loosely bound in a sort of meson-baryon molecule, in which the meson and baryon feel a residual strong force similar to the one binding protons and neutrons to form nuclei."